Rental pricing is based on a 3-year term (other length agreements available on request) invoiced annually in advance. Customers are required to complete a simple rental agreement document. Full breakdown cover is included for the duration of the hire period. This excludes damage or faults caused by misuse, accident or neglect, for which any repairs will be chargeable. An Annual De-scale & filter change every 6 months (DSFC service) can be added at the time of purchase. This comprises of a site visit to conduct a 20 minute boiler descale and change the filter, where fitted. Additional in house customer performed de-scaling may be required to ensure the boiler operates correctly. Particularly in hard water areas. Faults caused by scale are not covered by any warranty and any repair needed where scale was found to be the cause would be chargeable. Full breakdown cover for the first 12 months (Lincat products are 2yrs) is included. This excludes damage or faults caused by misuse, accident or neglect, for which any repairs will be chargeable. wall mounteed boiler in white. wall mounteed boiler in black. wall mounteed boiler in use. For companies or organisations requiring 3 units or more please call us on 0800 6124 931 or ObscureMyEmail for further information. 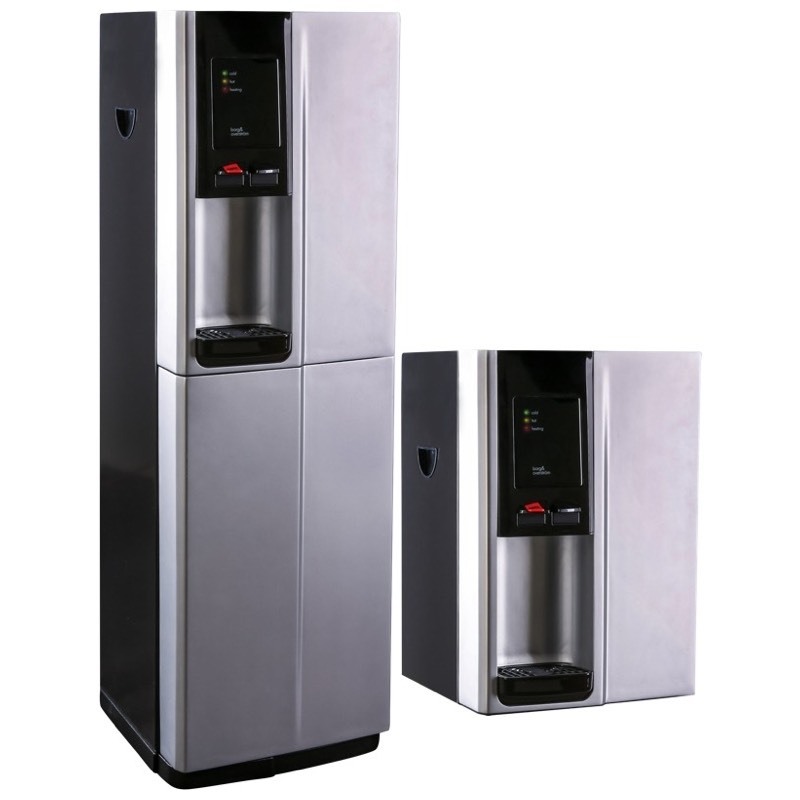 The built-in filtration of the WMB3F Auto-Fill Wall Mounted Hot Water Boiler ensures premium water quality & reduced scale build up. Highly compact and being wall mounted is ideal for siting over sinks or draining boards. Adjustable temperature between 70 & 96°C. Boiling Time From Empty To Full Capacity: 10 minutes. 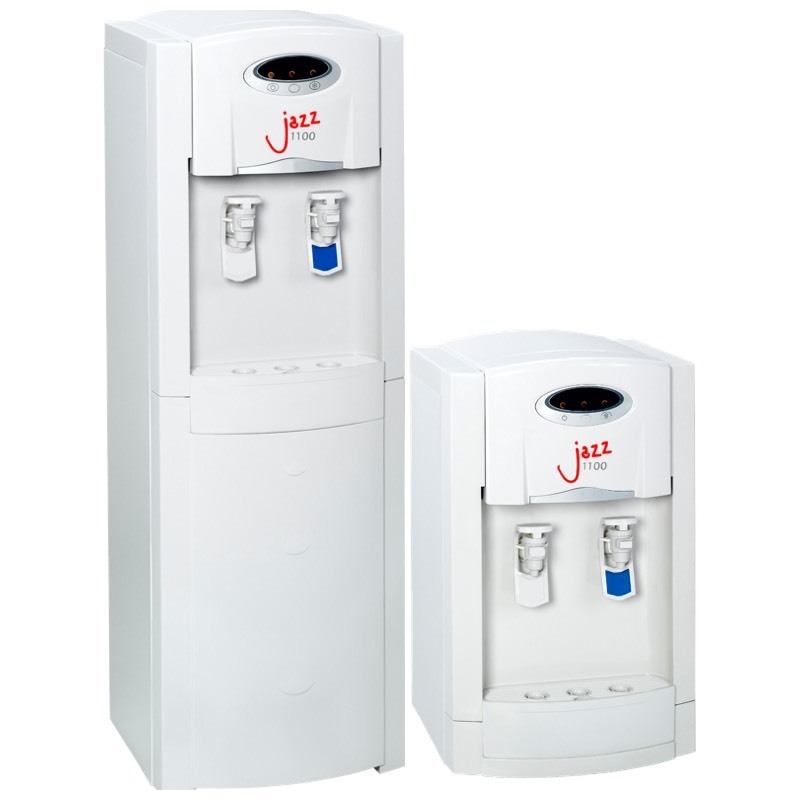 Stylish wall-mounted boilers delivering filtered hot water 24 hours a day. Compact design allows the boiler to be mounted over sink areas. Consuming just 60 watts per hour on stand-by, you can leave your boiler switched on at all times ensuring hot water is available just when you need it. 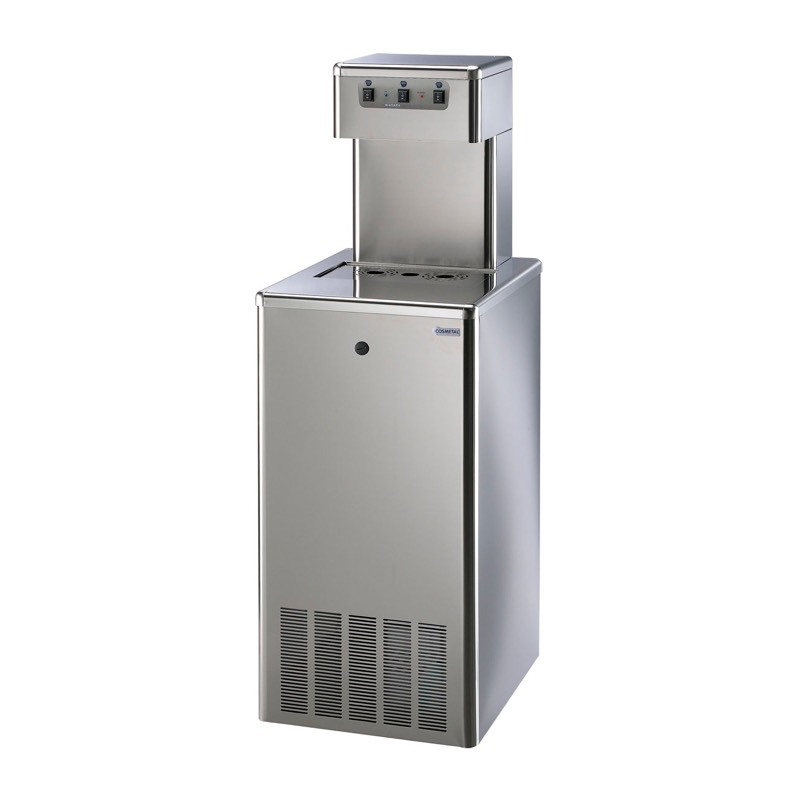 Ideal for catering establishments, office kitchens, staff rooms and any setting where space is at a premium. Sleek black or white glass finish, it’s also ideal for front-of-house use. 31 litres of piping hot water every hour. LCD display keeping you informed. Built-in filtration for great tasting drinks. Optional drip tray available. LED Display: Reliable information letting you know what the boiler is doing. LCD Display: Enhanced multi-level diagnostics. Boiling water Output p/hr 31 Litres (55pints) 205 cups. Rapid draw of 3.5 Litres (6.3 pints) 23 cups. Touch Controls: Discrete under mounted touch controls. Filtered Water: Easy replacement filter. Helps prevent scale and improves taste. Simple Installation - Flexible positioning! Installation carried out in accordance with EDWCA standards and guidelines by qualified Connect Coolers representatives. Although table top boilers are linked via the mains, high-density micro bore polypropylene piping is used to connect the machine. A more versatile and cost effective solution than traditional copper piping. It can be run in places where copper piping might not be suitable. Wall boilers are ideally installed above sink or draining board but can be positioned away using the optional drip tray. Connect Coolers offer full breakdown cover and boiler de-scale service option. • Available in Desk Top or Free Standing versions. • Robust build in silver, black or white. • Drip tray auto drain kit available. • Ambient & Cold or Hot & Cold versions. Steel frame for hard working, tough environments. 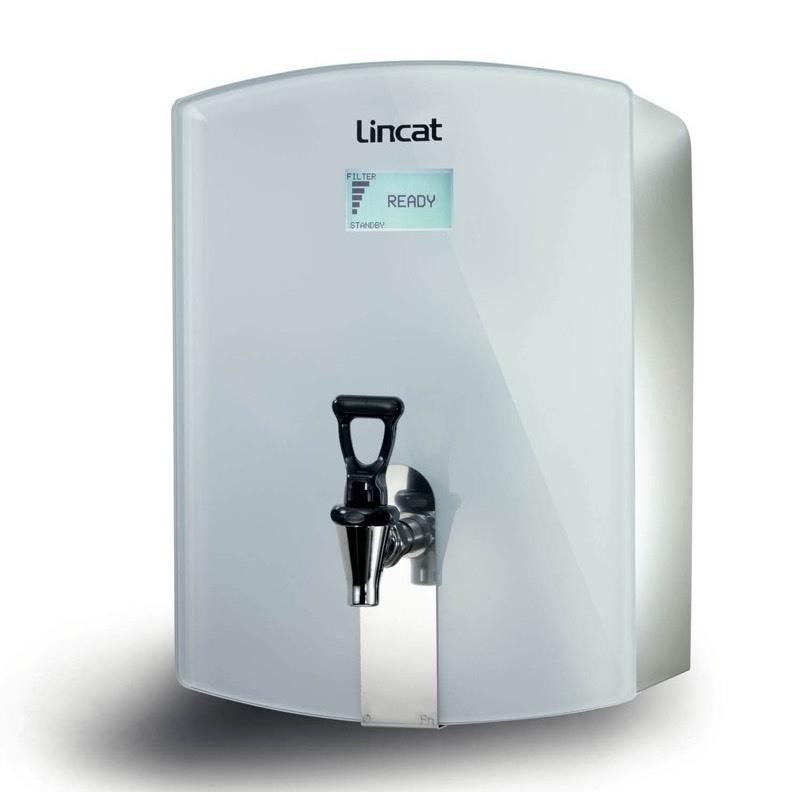 •Push button taps for improved hygiene. •Wide open filling space for sports bottles. •Ideal for schools & Gyms. • Entry level, sturdy and reliable. • Small compact design with. • Wide open filling space for large vessels. • Extra large drip tray.